The Nitecore HC33 is a high intensity LED headlamp with a ton of utility. Featuring a XHP35 HD LED, this head mounted light can reach up to 1800 lumens, blowing away competing sized lights. With a comfortable head strap, the HC33 can be worn either on a helmet or directly on the head and can be angled to suit your needs whether you need the light pointed up, down or straight ahead. 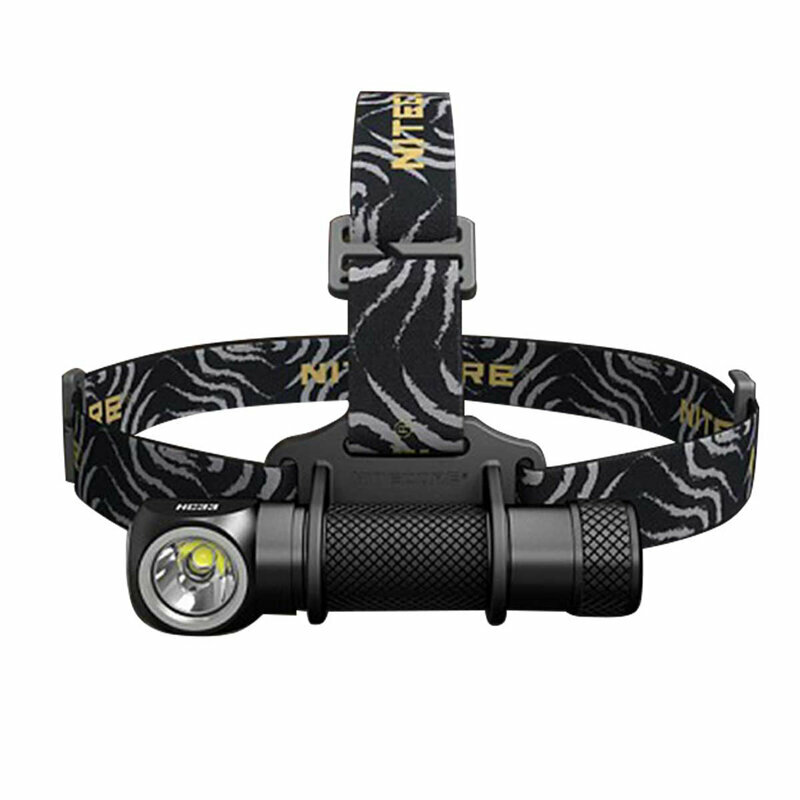 With a beam that can reach up to 187 meters and 100 degree angle flood, this headlamp is a perfect choice for late night work or exploration. When not in use as a hand-free lighting tool, the Nitecore HC33 can be removed from the nylon head strap and used as a hand held angle light. This variation of use still features the easy single side switch interface, modes and brightness. For hard to reach work areas, a magnetic tail cap allows users to stick the light to metal surfaces for another (albeit improvised) hands free lighting experience. Integrated Strobe, SOS and Beacon modes make the HC33 a great choice for camping or hiking, and is great for emergency situations.